The Boundary Waters Canoe Area Wilderness has always been a part of my life. My father started taking our family there when I was a baby, and it quickly became an annual trip. We would visit other states and Canada, but we would make sure to come back to Boundary Waters. My father would always say the most beautiful place he had ever seen was still the Boundary Waters. 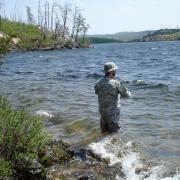 I went to the Boundary Waters in 2002, and not long after that I was deployed to Iraq, during the opening of Operation Iraqi Freedom. When I returned my father was losing his battle with cancer and I could not find my place "back in the world." After my father passed away from cancer, I did not return to the Boundary Waters, though I thought about it all the time. 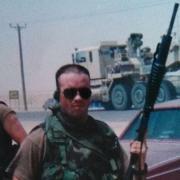 When I returned from my 2008 deployment to Iraq, I began to struggle with PTSD, alcohol, depression and suicide. On the insistence of my wife and friends, I finally went back to Boundary Waters. What I found back in the BWCA was a sense of peace that I thought I had lost forever. I could feel the poison that had infected my soul from the horrors of war being drawn out of me. The trip started the healing process, and when I could make it back it would always refresh me. 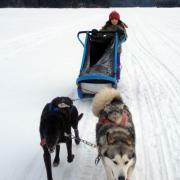 This past December I was lucky enough to fulfill a lifelong dream of mine to dogsled in the Boundary Waters. It was through Voyageur Outward Bound School with other veterans. It was on this trip that I finally felt like I could move on from the war and live fully back in the world. On that trip, I found other veterans felt the same sense of healing as I had. The poison that had infected us was pulled out of us by the peace and quiet of the wilderness. Now that peace and quiet is threatened. 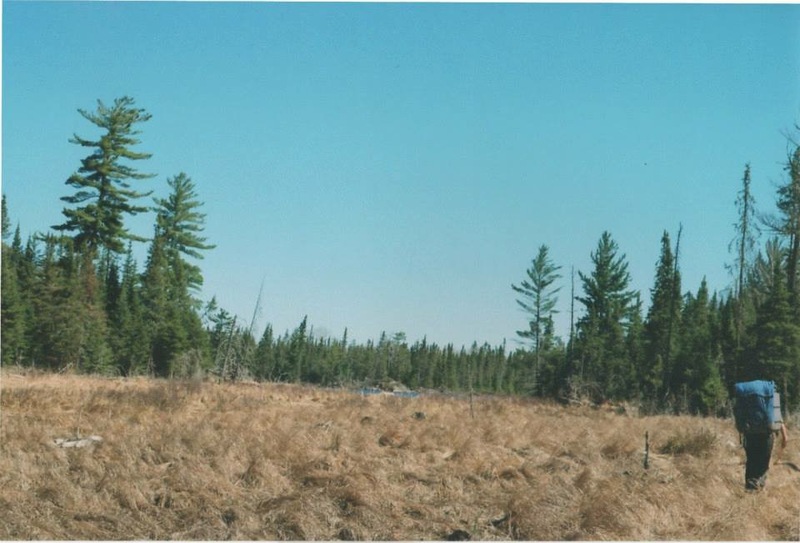 The mining proposed near the Boundary Waters will forever alter and destroy that peace of the wilderness. Already the noise of the exploratory activity of the mining interests is doing this. One instructor remarked that a trip for one veterans group that summer was not peaceful because of explosions coming from the exploratory site. These veterans that fought for their country were not able to have the same peaceful experience because of the interests of foreign mining interests. The Boundary Waters and places like it are one of the reasons I pledged my life to this country. The Boundary Waters is a rare commodity in this world, a place that has remained the same as God created it. We can visit it, play and pray in it, or we can destroy it. If this mine goes through, we will forever lose one of God’s most peaceful gifts to all of us. For more on the importance of the Boundary Waters to veterans, visit Save the BWCA Veterans Group on Facebook. 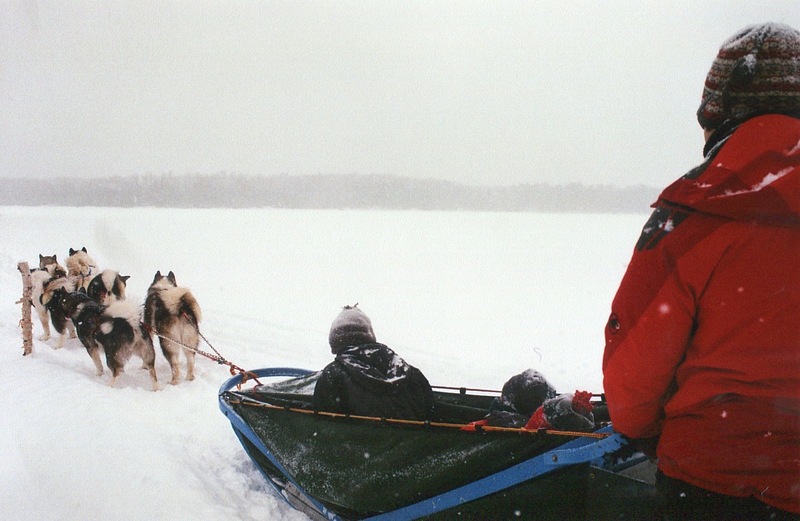 Every year I like to take a winter camping trip into the Boundary Waters. Just this past week, I joined Vermilion Community College’s Outdoor Leadership and Outdoor Recreation Therapy program as base camp support for students taking solo trips as part of the Outdoor Pursuits course. 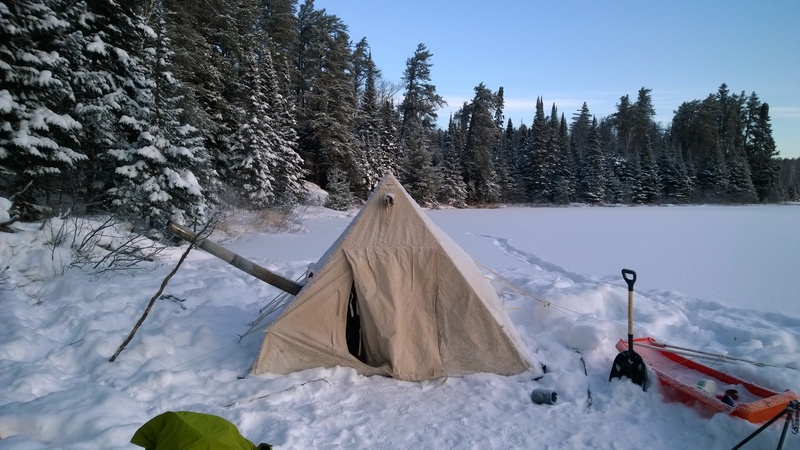 My first time winter camping was a painful learning experience; my roommate and I were clearing the Four-Mile portage from Fall Lake to Basswood and we camped out at the start of the portage. 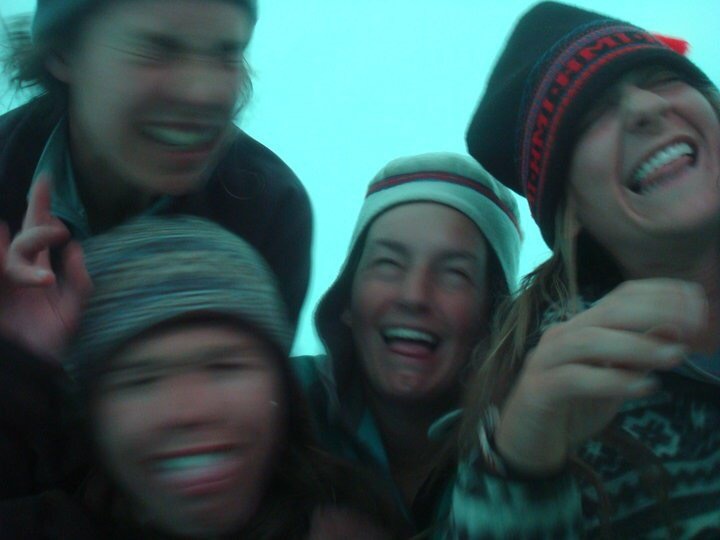 On our first night, condensation rained down from the ceiling of our Quickfish 6, a pop-up ice shelter we used. The second night was horrible, as unbeknownst to us the stovepipe had become clogged with soot. Smoked billowed into our shelter forcing us out, coughing and gasping for air while trying to stomp our feet into frozen boots. Both our eyes were burning with tears streaming down our faces. The ski back was brutal. I could only keep one squinty eye open while my partner, who was unable to open his eyes, followed me by the sound of my skis gliding over the ice. The lesson I learned from that trip is to check the stovepipe every day and to avoid burning punky cedar wood. Since that first trip I have gone on four other volunteer trips that ranged from three to five days long, working to clear dogsled trails and rehabilitate campsites affected by the Pagami Creek Fire. 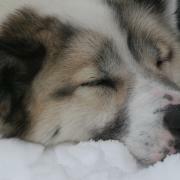 Winter camping is hard work. If we were not clearing trails and cutting down hazard trees, we were constantly gathering wood, stoking the fire and boiling water for hot drinks. The only time it seemed we could relax was after dinner, but after the first few trips I really began to enjoy winter camping. By the time the Vermillion group reached the landing on Snowbank this past week, it was snowing heavily and I could not wait to put my skis on and get out on the lake. We had two groups that departed at different times in order to stay within the bounds of our nine-person permit limit. After discussing where we would set up our two base camps, the first group of students departed. A half-hour later, Mark and I skied out followed by the second group. We set up our camp on a small bay along the western shore of Disappointment Lake. From there the other students in the group dispersed to set up their solo sites and build a shelter for the night. For their shelters, students just used a tarp set up low to the ground with snow piled up along the sides to block the wind. It was not too cold the first night and all the students were in high spirits. When we awoke around seven in the morning, the temperature had dropped to negative 10 F. We skipped breakfast and headed out to check on all of the students. Mark and I did not stay the second night; instead, we went back to town. That night the temperature dropped to negative 25 F. I was a little worried about some of the students out on Disappointment, but knew they all had solid shelters and warm sleeping bags. Sunday morning we headed back to Snowbank to pick up the students. Just as we got to the landing, we spotted the second group returning across the lake. Their faces were red and frosted over; one of them had the biggest ice-coated beard I have ever seen. The wind was coming out of the northwest that day and it was bitter cold. We drove out on the ice road to wait for the first group. After half an hour of waiting, we decided to head down the portage into Parent to see if we could find them. 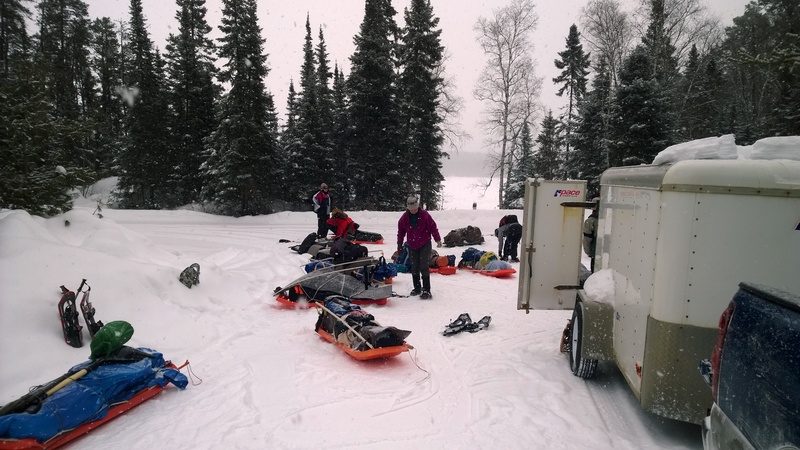 We reached Parent at the same time as the first group and helped them get their gear to the vehicles. 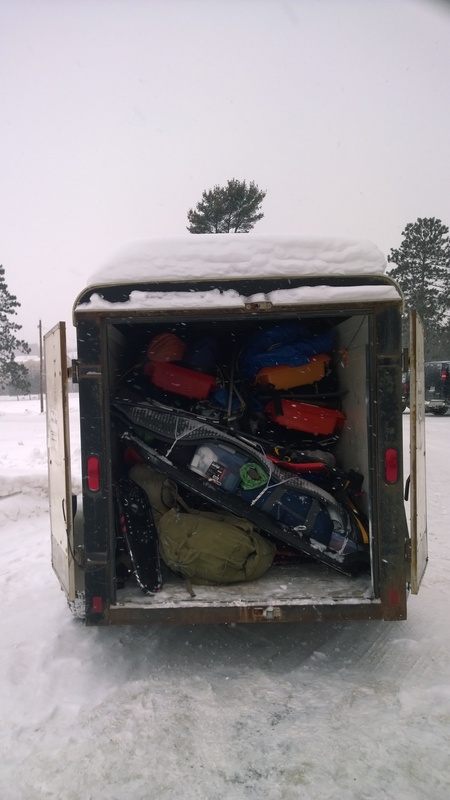 I’m sure at times during their winter solo trip it seemed like a brutal challenge to camp out in extreme temperatures, but it is one of those great experiences in college that students will look back on fondly. 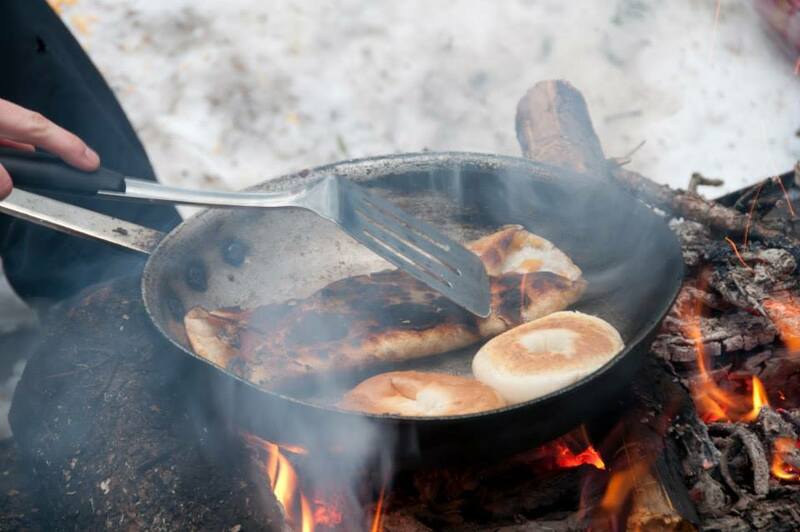 Getting out and winter camping is a way to see the Boundary Waters in a different light. 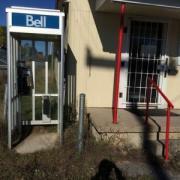 I think it is important to have diverse experiences in a place; these help build on our relation to it. 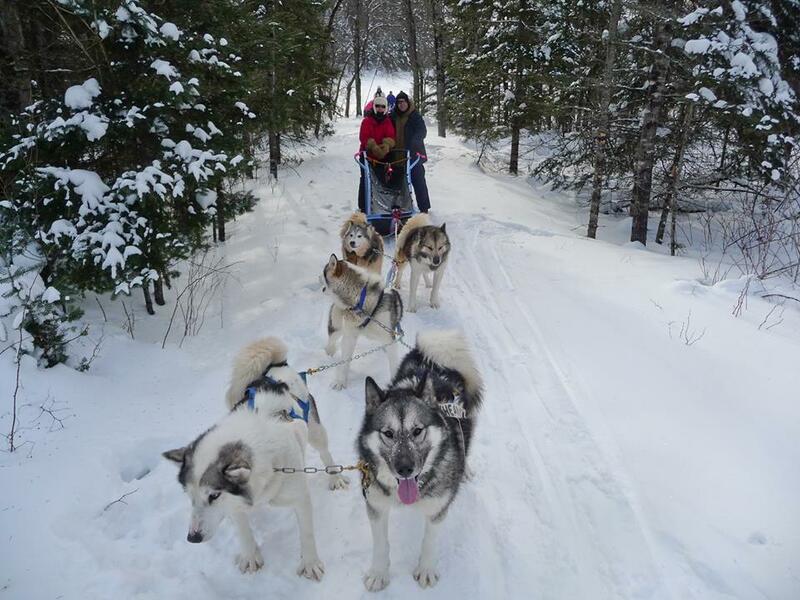 I have been lucky enough to travel throughout the Boundary Waters and the Crown Lands of Ontario and Manitoba, experiencing the landscapes different moods in all four seasons. These experiences have fostered a deep sense of care for this landscape and have led me to take action to protect it. Appreciation for wilderness is part of who I am. I think it is a part of all of us. 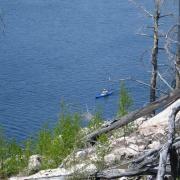 My passion for the wilderness began on canoe trips in the Boundary Waters Canoe Area Wilderness in Minnesota. 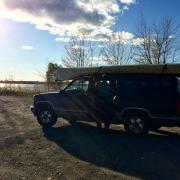 I grew up paddling and camping there with my parents. My appreciation has only continued to grow. 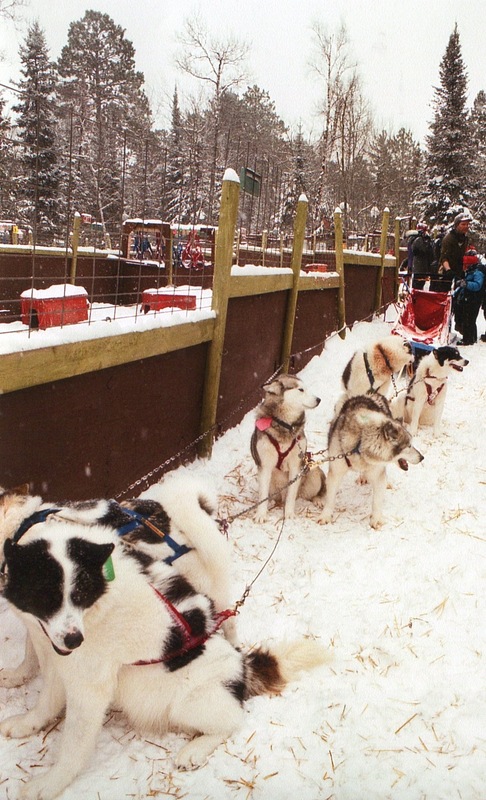 I've guided dogsledding trips out at Wintergreen Dogsled Lodge, played my fair shake of broomball, met adventurers like Dave and Amy Freeman and even embarked on a solo canoe trip. 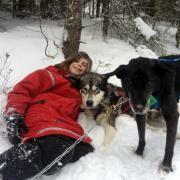 Living in Ely, a community based on its proximity to wilderness, has turned my passion to action. 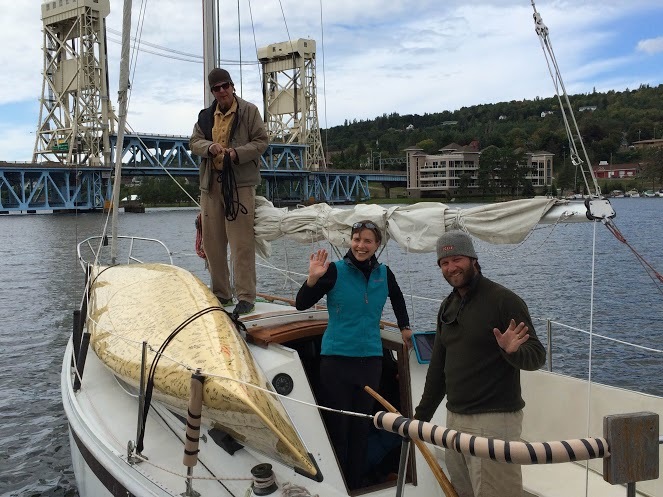 It led me to a yearlong internship with the Campaign to Save the Boundary Waters supporting our goal to protect the clean water and forest landscape of the Boundary Waters and its wilderness community out of Sustainable Ely. We started by scrapping old paint off of the façade of a quaint house on the main drag of Ely. There, we collected signatures on a Wenonah canoe to be paddled to Washington D.C. and presented as a petition to President Obama. 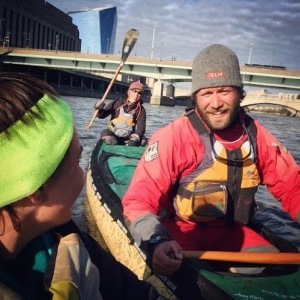 No one could anticipate that the Paddle to DC would make waves in every town that it passed through, across America and Canada, and become a true movement. 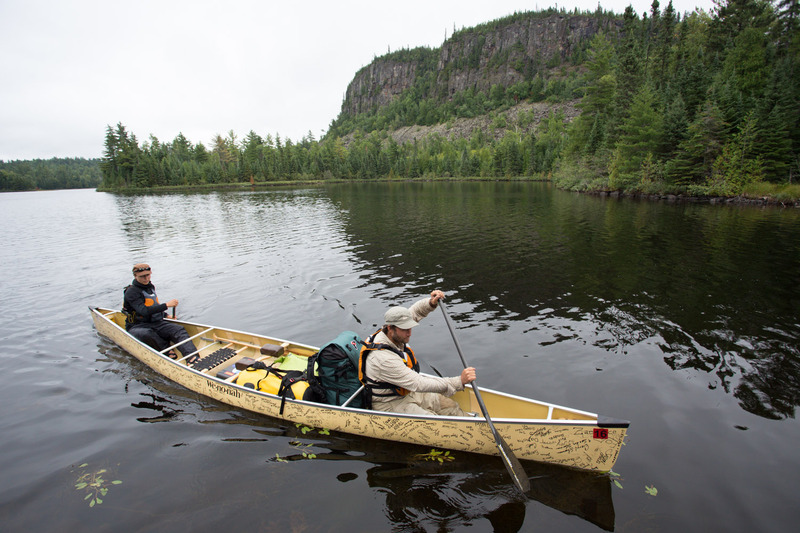 Sustainable Ely serves as the very active birthplace of the Campaign to Save the Boundary Waters. There, we host monthly movie nights, bring in nationally recognized speakers, connect adventurers to the issue and host discussions on the mining threats. 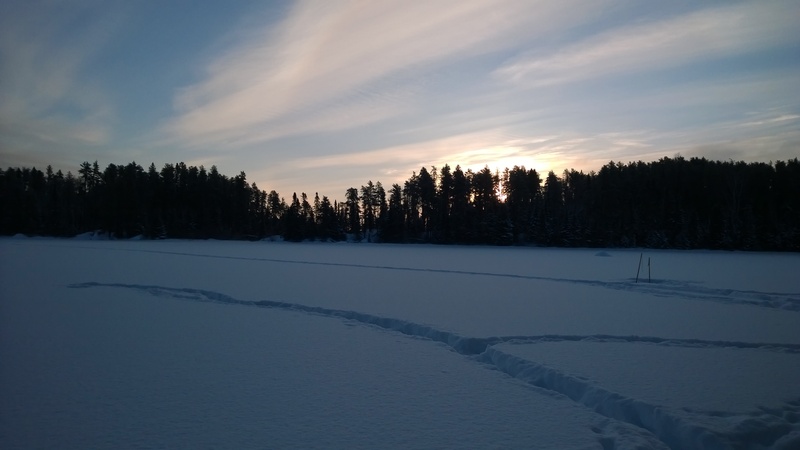 Next time you venture out to enjoy the beautiful wilderness lakes and serenity here, stop by Sustainable Ely and see the work that goes into protecting the Boundary Waters and its wilderness-edge communities. As users of this land, we have to remember that it is not an accident that the Wilderness exists. It is not an accident that some of our most beautiful and precious wild places are set aside for public use. It took action. Activism and adventure go hand in hand; they are part of our national heritage reaching back to Lewis and Clark, Alexander McKenzie and others who explored and mapped the vast expanses of North American wilderness. Adventure and social change are also not a new idea. Ansel Adams explored and documented the beauty within his favorite wilderness areas, and his images were used to expand the American National Parks System, saving these areas for generations to visit and marvel in, rather than develop. 1. Learn about the existing threats to the area that you are enjoying. Being informed is the first step to action. Want to understand the threat of sulfide-ore copper mining to the Boundary Waters, scroll our homepage. 2. Do something cool! Next time you go adventuring, share those images and stories with a purpose. We'd love to see your Boundary Waters photos on Instagram. 3. Share your experiences on social media! Next time you post a picture or share a story of your favorite place, tag the organization working to protect it. 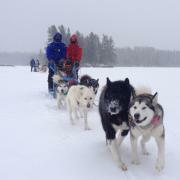 Share your Boundary Waters story with us on Twitter or Facebook. 4. Find a relevant #hashtag and use it. This is sometimes the easiest way to spread information about an issue. We use #SavetheBWCA. 5. Tweet your representative. Tell them that you care about the issue! Tell Rep. Betty McCollum you love the Boundary Waters, for instance. 6. Work for wilderness! Spend an internship with an organization that is doing good. Working for creative team of fellow outdoor enthusiasts will not only serve wild spaces, but also inspire you in your future work and connect you to the outdoor community. We have openings right now! Best of luck to any of you searching for your voice who will speak for the places that have none. I hope it leads you on many more outdoor adventures! 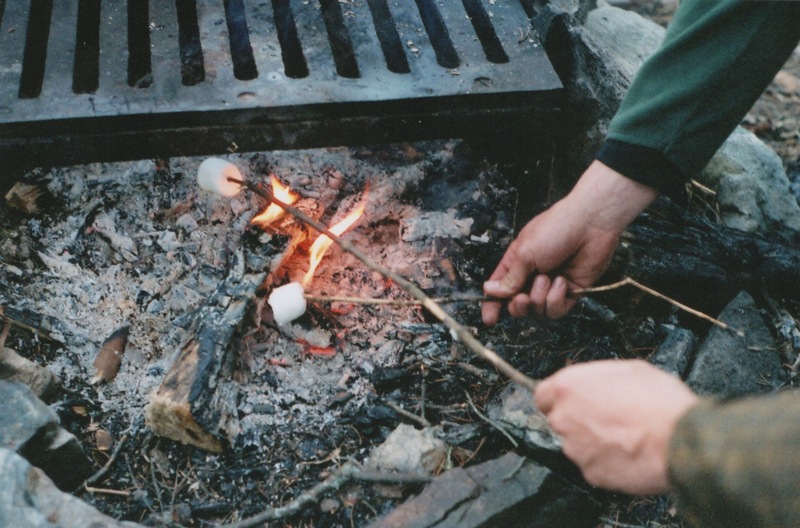 Our Top Ten Favorite Things to Do in the Boundary Waters! Recently, we posted our top 10 favorite things about the Boundary Waters Canoe Area on Instagram with some great pictures. These 10 are some of the inspiration behind why we are are so passionate about our fight to save the BWCA! Take a look at the full list and pictures below, then share reasons YOU love the BWCA on social media with the hashtag #savethebwca (Make sure you are following us on social media: Facebook, Twitter and Instagram). 3. Being ourselves. Something about the woods brings out our truest selves, the good, the bad, and the crazy. 4. Snapping pictures. Let's be honest, the BWCA is very photogenic. And you know you look better in a canoe. 5. Floating around on a Thermarest. Does your bed at home also double as a wave rider? 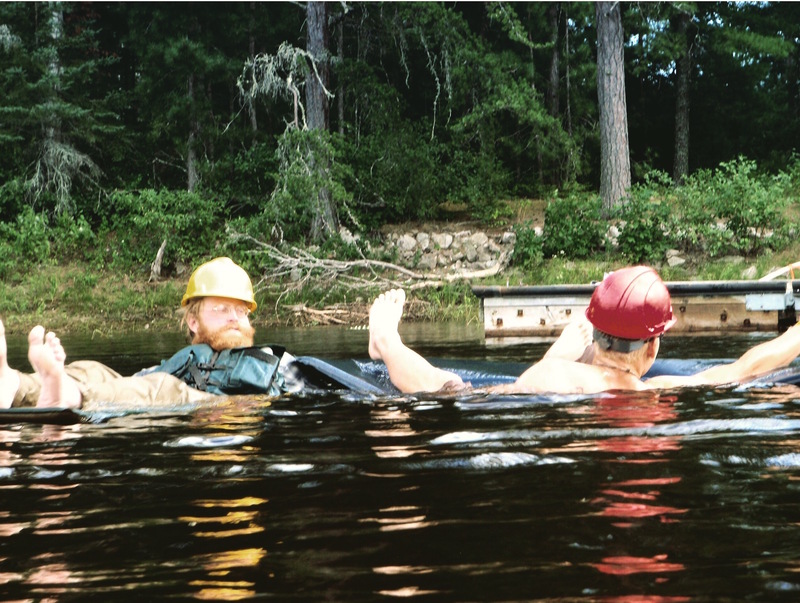 These Forest Service Rangers take a “water break” on Lac La Croix. 6. Taking a hike. 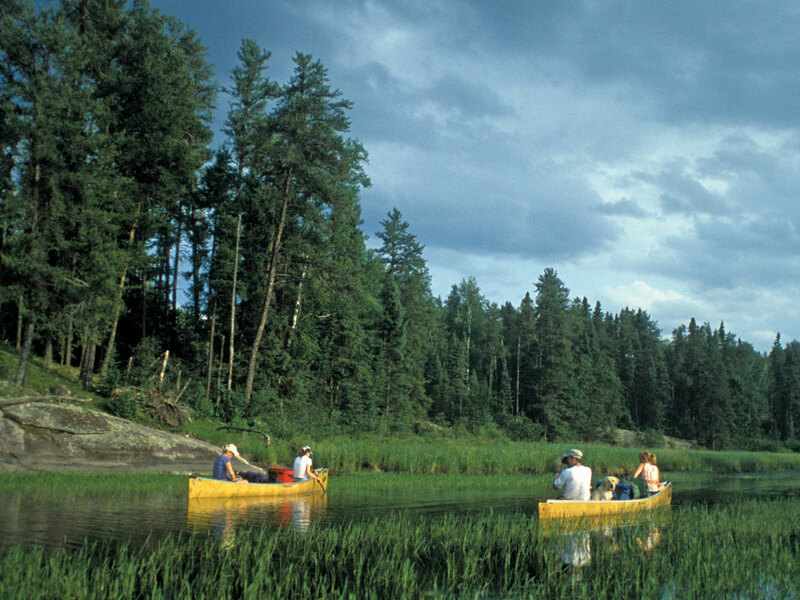 Although the BWCA offers hundreds of miles of walking trails, it is notoriously best seen by boat. To get from one lake to another, you’ll have to do some crazy portaging. The real purpose: to bring out the desire in all of us to carry an 80 pound food pack or canoe on our shoulders or a mile, uphill. 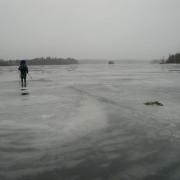 or foot, the Boundary Waters is at its wildest in winter. 8. 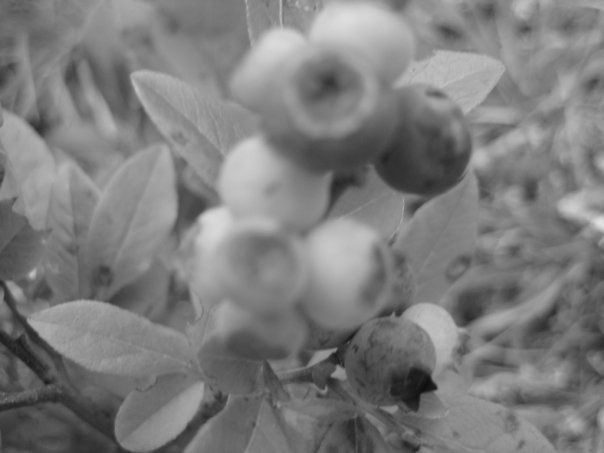 Picking wild blueberries. In August these bad boys are at their peak juiciness. The stains on your fingers never let you forget about the trail pancakes you made with them. 9. Cooking over a fire. Everything tastes better when you are hungry. And when there is smoke in your eyes and sparks burning through your polypropylene Patagonia. 10. Fishing for "water wolves" in the deep BWCA. 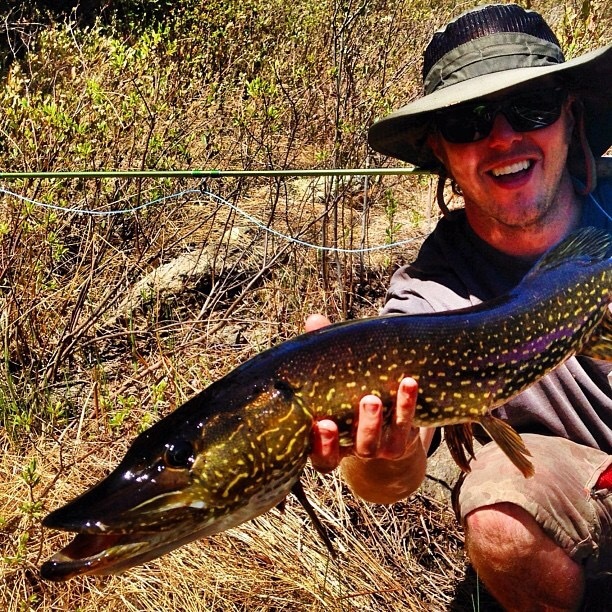 Here, @Jahbeas catches pike on the fly. The Future of Our Forest? With each town we passed through, we met local groups working toward a better environment. Each community was plagued by an environmental fight, to avoid a superfund site, to better their rivers, or even to discuss controversial proposed sulfide-ore mining for copper in their region. Wisconsin and Michigan both have past, or in Michigan's case, recently permitted copper mines. These communities gave us a national perspective on our local issue. While in the Michigan UP, I took a slight detour to scope out a new Sulfide-mining project in the Yellow Dog Plains. We had heard from our friends at Save the Wild UP that the most surprising and immediate affect from the new mine was the change to their forest. Here in Northern Minnesota, our Superior National Forest could face similar changes as the setting for the proposed Twin Metals mine. I wanted to see for myself what the development looks like. Image #1 is of a small logging road through the forest of the Yellow Dog plains. Previously, the Yellow Dog Plains was a remote and virtually untouched wilderness, aside from large scale logging operations. Image #2 shows the expansion of the logging roads in the forest for the purpose of the Eagle Mine. Michigan's new Eagle Mine was permitted in 2007. The life of the mine production is estimated to last up to eight years. The necessity of a four-lane highway for the transportation of the ore and heavy machinery during the 8 years of production has lead to the vast expansion of dozens of miles of their roads and clearcutting of the trees. The affect on their forest is indisputable. As we work toward protecting our clean water, let's not forget about the trees. Our Superior National Forest is a treasure in itself.